A high-quality mobile printing system is an important part of any successful and efficient mobile computing configuration. In areas such as warehousing, distribution, and storage, a printing system is critical component in your business operations. 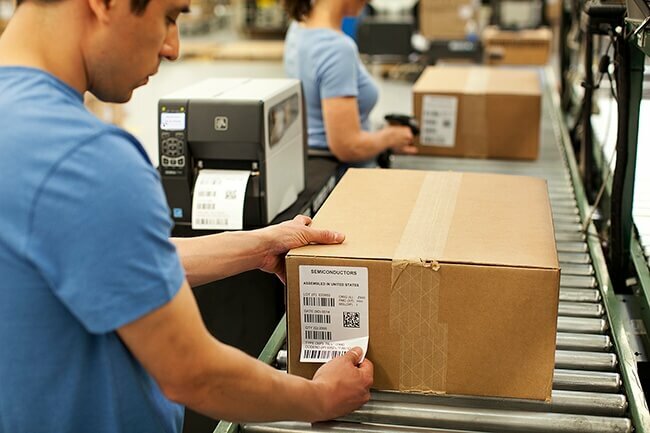 Providing key services like creating compliance shipping labels; printing receipts, invoices, and tickets; processing credit card payments; connecting to wireless networks; receiving print jobs by email; and processing transactions, your company’s mobile printing system needs to be reliable. With our range of printers, including Desktop, Mobile, High Performance and RFID printers, Advanced Mobile Group delivers the right solution for your warehouse, distribution, or storage printing needs. In addition to supplying top of the line printer brands like Zebra, Honeywell, and Datamax-O’Neil, we provide you guidance from field experts every step of the way. We will be there to determine the right solution for your company, install and implement that system in your organization, and provide ongoing support and service surrounding your mobile printing system. Combining the efficiencies of innovative software and hardware, with the flexibility of mobile products, mobile workstations are an effective solution to converting a stationary workplace into a productive power-house. Advanced Mobile Group offers a variety of Newcastle Mobile Workstations aimed to move your packing and shipping stations where they are needed. The benefits of mobile workstations are vast are plentiful, including achieving the same volume of work with less equipment, optimizing your workflow by going wireless with the Newcastle Portable Power System, measuring results and productivity and allowing your team to gain and transfer real-time data directly from their workstation. Contact us to learn more about our barcode printing solutions.